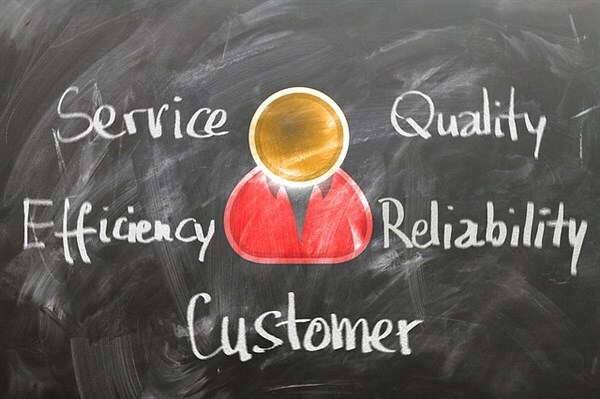 Customer service is an important factor to any business and should never be underestimated in any way, shape, or form. Striving for excellent customer service should be the forefront of any business that wants to succeed, and can either make or break your company. A bad customer service experience will assure that specific client will be looking to take their business elsewhere. After all, by the time a person goes as far to contact customer service, you can assume they are already frustrated. With a little patience and understanding, you too can learn how to keep your customers happy by keeping a few important points in mind. Do you think you have what it takes to keep your customers smiling and coming back for more? Working for the customer is the name of the game. They are giving you their money instead of your competitors. You will want to keep them happy if you would like to preserve your business relationship. It is much more difficult to find new clients than to keep the ones you already have. Put yourself in the customer’s shoes. If they are calling you, they are probably having a difficult time finding an answer or solution to any problem relating to your business. This can lead to all sorts of frustration on the customer’s end. Don’t let their attitudes affect how your present a solution to them. Be sincere and empathetic. The customer has choices on where they can take their business. Make them always feel like they are being valued. Whether you are exercising your customer service skills in person, the computer, or over the phone, the quality in which you represent your company will be noticed. Show the customer that you truly care about the problem they are currently facing, and do your best to fix it. Treat the customer like family. After all, they are the ones that are using your service or product. Build a trust with them so that you can continue that relationship for years to come. You won’t be able to retain connections with poor customer service. People do not forget bad experiences. It is a terrible feeling to be on the phone with someone on the customer service end when you realize that they do not know what they are talking about or what their company policies are. We have all been on that phone call, and we do our best to avoid that situation at all costs. That is why it is important to know your company and policies and be able to efficiently explain those answers to anyone that needs them. Being efficient with how you convey yourself and the company with customers strengthens your brand. It reinforces that you and/or your employees know the ins and outs of the company, and that it would be beneficial to call you or the customer service line when they run into any troubles. There should be no need for hesitation to contact you. Make yourself available to your customers. Don’t let the phone ring and ring with no one there to pick up, or leave your email/messages stacked with unanswered questions. When people call or message needing help, they usually need answers right then and there. If there is no one there to answer, this could result in a bad review. You do not want that bad review lingering over your business for the public to see. This could steer customers away from your business for life. For less important questions that do not need to answered right away, you can set up an email address for these inquiries. Just don’t leave the customer waiting too long! Companies should always strive for exceeding expectations in their customer service. Remember to treat customers how you would like to be treated. Some customers are more difficult than others, but with patience, empathy and understanding, any customer can be won over. Use these tips to help fine-tune your company's customer service policies and they will help keep your customers happy for years to come.